Mumbai, 3rd May 2018: Reliance Jio Infocomm Ltd. (“Jio”) today announced the launch of the world’s first Artificial Intelligence (AI) based brand engagement platform – JioInteract. The first of many services to be launched on this platform is the Live Video Call that features India’s favourite celebrities. To kick-start, Jio has on-boarded none other than Bollywood’s biggest star, Amitabh Bachchan, who will promote his upcoming comedy-drama film ‘102 Not Out’ in the most innovative way. 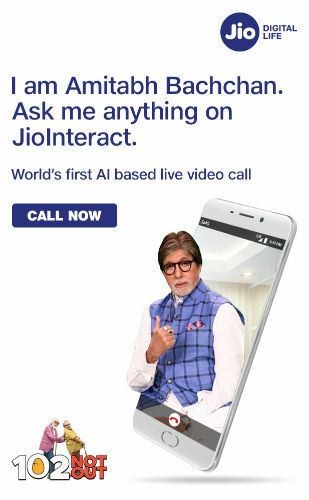 JioInteract’s first service “Live Video Call” will allow all Jio and other smartphone subscribers to make a video call with their favourite superstar, Amitabh Bachchan anytime during the day, starting on 4th May 2018. Users can ask questions related to his upcoming comedy drama film, 102 Not Out and even book their movie tickets in real-time through the ticketing-partner BookMyShow. 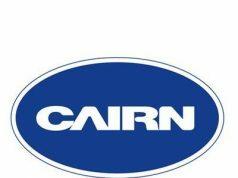 This unique and innovative service uses a powerful artificial intelligence based platform to listen to user questions and respond to them in the most appropriate way. In addition, the platform has a unique auto-learning feature that helps improve the answering accuracy. Leveraging the strength of Jio’s strong mobile video network and its 186Mn+ strong subscriber base along with new technologies like artificial intelligence & machine learning, JioInteract has created a compelling brand engagement solution for businesses. Positioned as VCBaaS (Video Call Bot as a Service), JioInteract with its full scale multimedia capabilities attempts to democratise Artificial Intelligence & Video Call technologies in a simplified way for effective brand engagement. This technology has wide scale applications across B2C space. Using it, Jio is also tapping developer ecosystem to create innovative applications like virtual showrooms, product demonstrations, ordering cart for e-commerce, etc.